With so many health fads and diet tricks to try and lose weight and improve overall health, it’s hard to know which ones to try. While some may seem ridiculous and just plain unpleasant (I’m looking at you, oil pulling), they can actually supply you with benefits you never knew were possible. Over the years, people have tried all kinds of crazy and harmful diets. Many of the dangerous diets of the past caused serious harm to women’s bodies. But don’t let that scare you off. Just because a health trend sounds silly or tough, doesn’t mean it won’t work wonders. But it’s super important to know which ones are healthy, and which are a dangerous gimmick. I thought I will dislike the article because of my bad attitude towards the ways of dieting. I have read lots of articles which state the same, that one will lose weight the natural way by doing this or that. Then I read that you’ve tried all of them, and was curious to know what’s it about. I will recommend the teatox to my cousin. Oil pulling is the great aid for sleeping better because some ingredients found in toothpaste are energizing, but I would never try it because of the silly 20 minutes of swishing, as you have written, can result in jaw soreness. I love tea and its help in weight-loss. Green tea is the healthiest beverage on the planet. It is loaded with antioxidants and various substances that are beneficial for health. Amazing tips! I agree juicing is a very effective, nutritional way to lose get rid of those nasty toxins while shedding away those extra pounds. Most people lose weight within first two weeks. Plant based diets are really helpful for weight-loss. I am dieting and i try one new food each week, which makes me feel really good. I suggest everyone should do this. Thanks for such a great post Hilary! I’m sure this took a ton of work! I have already sent this to one of my coworkers who was needing a reboot after vacation. I really appreciate it! I love this post!!! I’m a (control freak) meal planner, so I love love love new ideas for balancing the days. 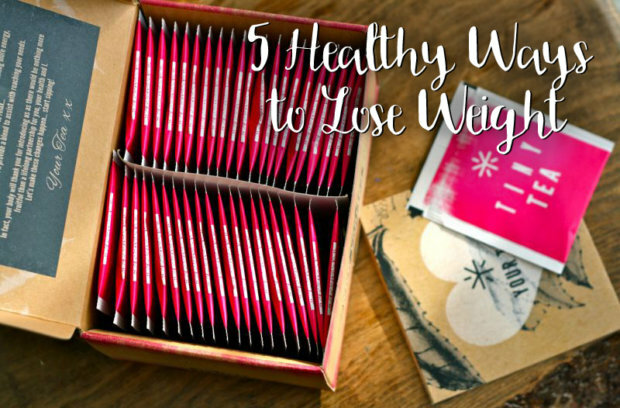 And your tips sound perfect for someone needing a little change in their diet!